Sick of the clouds in the UK, I managed to get my 200p newt, HEQ5 mount and tripod into hold luggage with Jet2 and out to Tenerife on our summer holiday. 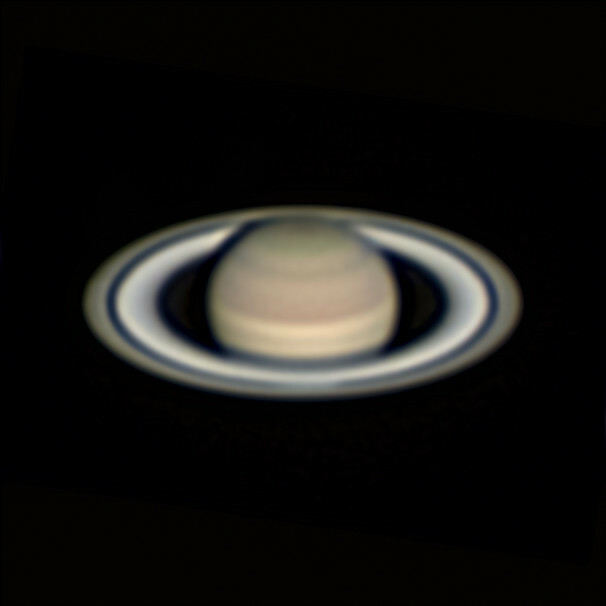 My observing spot wasn't the best as it looked across roofs that had been heated by the sun all day but despite the less than perfect viewing conditions, I managed to get my best image of Saturn to date. Well worth transporting all that gear! I've since established a very good location high in the mountains where the air is cooler and much clearer so I'm looking forward to my next trip very much! Camera used was the ASI224MC with Powermate 2.5x and a 2x X-cel barlow. 3 AVIs stacked and combined in Winjupos. Last edited by si_ on Sun Dec 11, 2016 4:38 pm, edited 1 time in total.